Central Europe and Eastern Europe are not such a paradise for EVs. As an example, in Poland, EVs had just about 0.25% market share of total car sales in 2018. We hope it’s going to change soon as the Polish government provides consumer support via new incentives for potential EV buyers and as more affordable Model 3 trims accelerate deliveries. 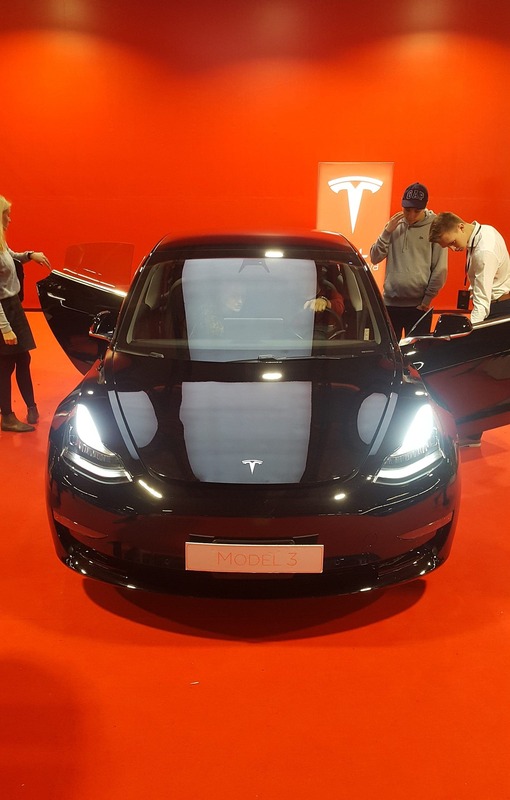 The first time it was possible to see and touch a Tesla Model 3 in all of Eastern Europe was at the end of November at the Warsaw Motor Show 2018. It’s down there. Do you see it? There was US charging port on the Model 3, as the car just came directly from California for a show and tell. There was a professional exhibition stand built by the Tesla Warszawa leasing and rental company focused on Teslas. A few weeks passed and the Model 3 started to reach Europe, including Eastern Europe, slowly. In the last 3 weeks, we’ve seen the first 10 Model 3’s deliveries in this country — with a lot of attention on social media. You may be laughing at 10, but this is the start, and an important one. The Model 3 is different. Tesla sales will grow much faster in Poland and similar places than they did in countries like the US and UK. The Model S and Model X could only reach so many households, due to their high costs. The Model 3 doesn’t yet have a much lower price in Europe (you can still only get the high-trim, high-cost versions of the car), but it is coming. It will be a bit more than $35,000 due to import fees and taxes, but this car will be significantly closer to mass-market prices. We know that the Model 3 is already starting to compete with mass-market cars like the Toyota Camry and Honda Accord in the US in terms of total cost of ownership, even though the Model 3 is an enormously better car. In Europe, we have other models in the top 10, but the story will be similar. In fact, with higher petrol/diesel prices in Europe than in the US, the total cost of ownership comparisons should look quite attractive. Stay tuned as more Model 3’s hit the streets of Poland, the Czech Republic, Slovakia, Ukraine, and so on. New owners will be sharing the details with friends while giving test drives. A $70,000 car might be a rarity here, but a $40,000 car is not. And in Poland at least, we love tech and have a high number of Tesla and SpaceX fans who have been eagerly awaiting this new era. Tesla Model 3 deliveries may be in the tens these days, but it won’t be long before they’re in the hundreds, or perhaps even thousands. We will be sure to share some details on the evolution of these markets, which should not be underestimated. Tomek Gać Tomek is a cleantech fan and it shows in all of his endeavors. He is a co-founder of Tesla Shuttle and owns a courier company, Quriers. Tomek was probably one of the first 20 EV owners in Poland. Another one of his companies, Energia Slonca, explores opportunities for solar PV panel installations for private and corporate clients. Tomek is also an EV consultant for companies considering going electric.